We also owe you stories. they fill me with awe. to your device as a PDF. On July 17, we’ll also make Forty Stories available as an ebook through all the major retailers. Thank you for waiting. And enjoy. 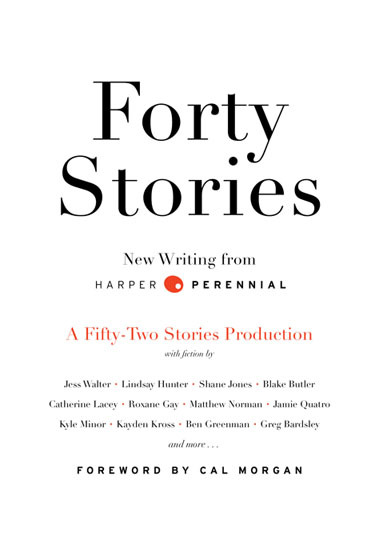 Welcome, gentle reader, to the fabulous, most beautiful, newly reborn Fifty-Two Stories—our little experiment in social engineering through the regular administration of short fiction, launched several years ago beneath the eaves of Harper Perennial, now released to the wild. We love those self-contained, crystalline, newborn, perfect creatures called short stories, and this is our way of celebrating them: by sharing a new one every week. We hope you’ll visit, share what you like, and submit your own work: We're assuming you're the best writer of your generation. Got comments? Questions? Stories of your own? Send them here. Sign up to receive notifications of new stories as they happen. 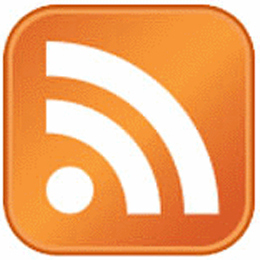 Bookmark our RSS feed here. Our aim was this: Alaska. To abandon Mobile at dawn without telling anybody, not even our girlfriends or our boss at the plant. Bruce knew a bail jumper who got a deckhand job on a crab boat off the Alaskan coast where she made five hundred dollars a day. Bruce was divorced for the third time and I’d never been married, so we planned to sell our cars and Bruce’s house trailer and buy an olive... Read More. I told the doctor over the phone I needed an appointment fast—tomorrow, if possible. Are you going to hurt yourself, she asked, or someone else? No, I said. I was burning money. She said, Tomorrow at three, and I asked, Do you take check or credit card, because obviously I can’t carry around cash, ha ha, but she didn’t seem to get the joke. I was at my best friend Yvonne’s house when I called.... Read More. In the Garden of Eden, a cat steadies itself on a branch while quietly regarding a parrot. The air in the garden is heavy and mixed with the stink of all those animals resting below. No blood is spilled in the garden, and so the roles of most of the animals are greatly reduced. Though most of them are still, as yet, unaware of this fact. They linger in vague proximity to one another, marveling at their... Read More.